Designer Faye Toogood’s latest addition to her range of ceramic designs for 1882 Ltd puts a fresh spin on the forms and traditions of English creamware. 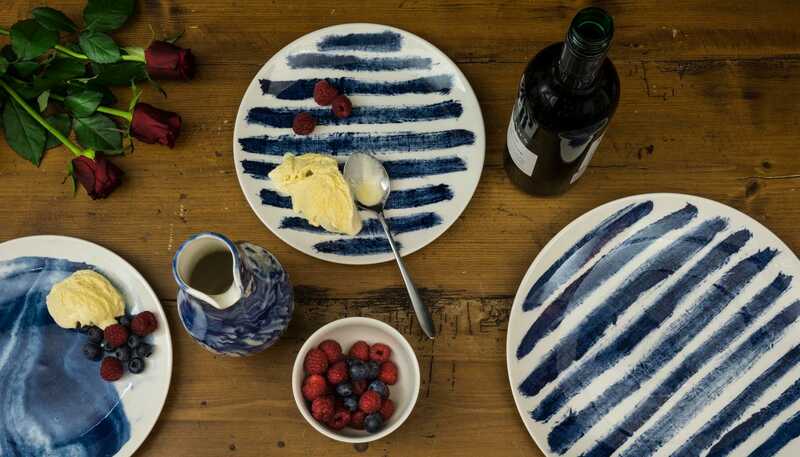 Indigo Rain reinterprets the homely familiarity of blue-and-white striped crockery in a new design informed by the spirit of serendipitous discovery. Representing a streamlined take on our ceramic heritage, the fine earthenware employs the familiar tones of English Delftware: cream offset with a rich, deep blue. Created Staffordshire the traditional heartland of Britain’s china industry this beautiful dinnerware range will look elegant on your table. 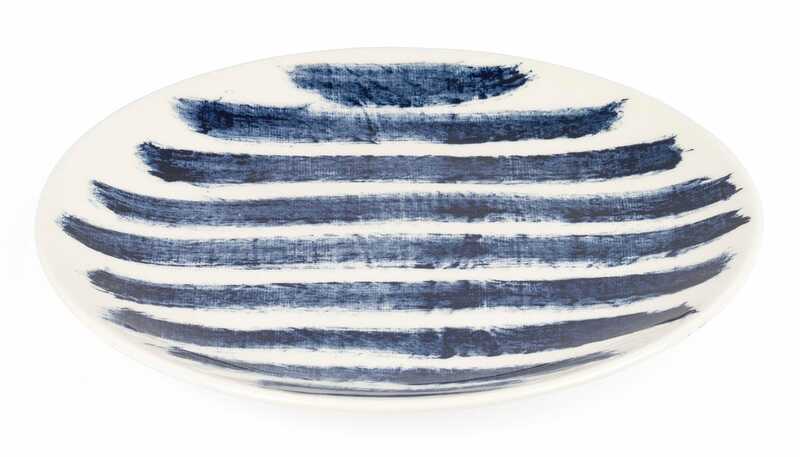 Indigo Rain reinterprets the homely familiarity of blue-and- white striped crockery in a new design informed by the spirit of serendipitous discovery. Faye Toogood approaches product design with a singular and acutely honed eye. Toogood’s objects are grouped together into her trademark numbered ‘Assemblages’. This allows her to avoid the formulaic, to experiment with the materials and processes that dominate her thinking at a particular time. 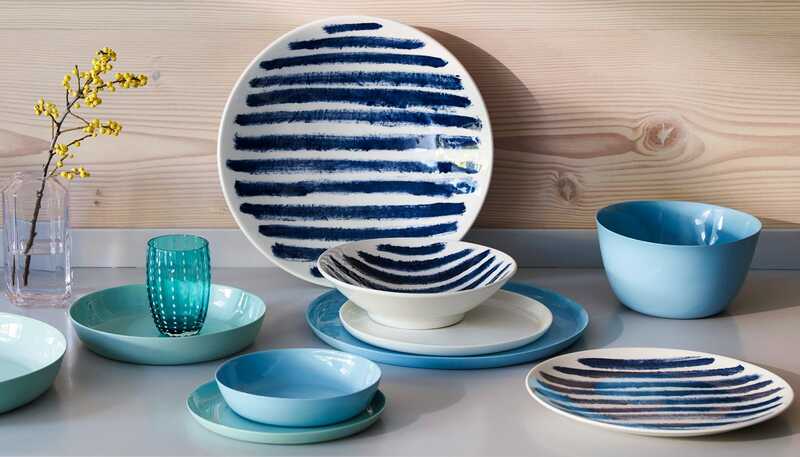 Indigo Rain reinterprets the homely familiarity of blue-and-white striped crockery in a new design informed by the spirit of serendipitous discovery.